McKinney, TX is an increasingly popular choice to settle down, start a business or raise a family. 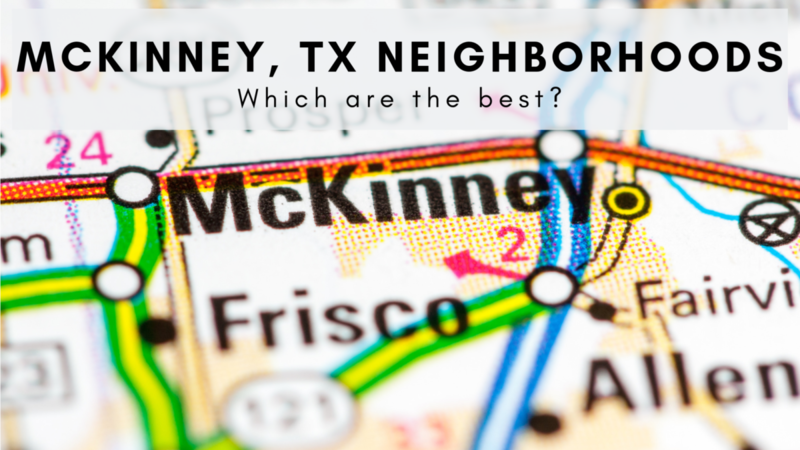 Voted the #1 Best Place to Live in America by Money in 2014, it’s hard to pass up any number of the idyllic and charming McKinney neighborhoods throughout the city. The city’s allure stems from a growing job scene, excellent schools and constant business development. At the same time, historic buildings and unique, welcoming developments make it difficult to even choose where to live in McKinney. The low cost of living in McKinney is a bit of surprise with all of its economic opportunity. Especially compared to nearby Dallas, McKinney rent prices are a shocking 24.17% lower in town. Everything from restaurant prices to childcare is lower in McKinney than Dallas, making this an ideal choice for finding a work-life business at any stage in life. Housing developments are the most popular living arrangement in McKinney, each with its own take on living and quite often, their own Lifestyle Directors. Packed with activities and community-building opportunities, the benefits of living in McKinney go far beyond a beautiful and thriving location. Explore our McKinney neighborhood guide as you consider moving to this exciting area. If you’re looking for a McKinney neighborhood that puts you right in the center of the action, Downtown McKinney could be for you. 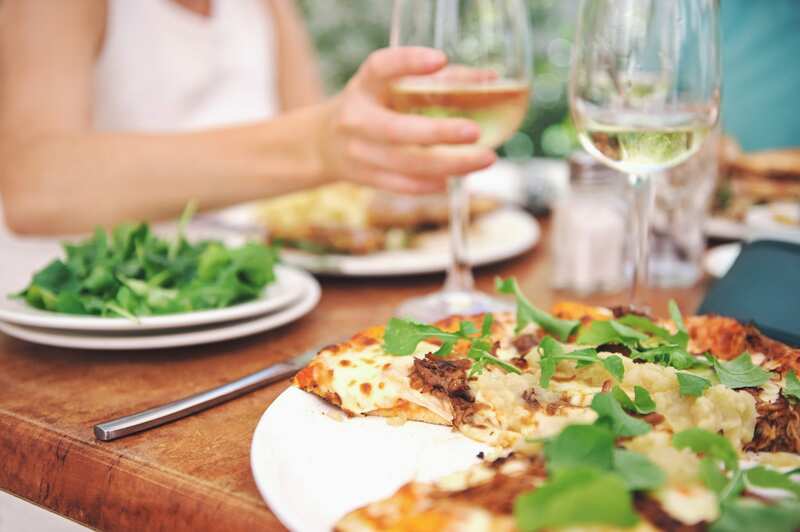 Home to a mix of historic brick buildings and more modern apartment building developments, Downtown McKinney living means you can walk to any of the countless restaurants and festivals offered year round. A newer luxury apartment option, Davis at the Square, for example, sits right in the center of town and offers affordable rent for all apartment sizes. Whether you live in or come to visit downtown McKinney, it’s here that you’ll find farm-to-table restaurants like Harvest or the decadent Sugarbacon for a cocktail. Bring the kids to McKinney’s Sweet Spot for dessert and then catch a show at McKinney Performing Arts Center. You can even get to know a bit more about the area by stopping by the Collin County History Museum to get a feel for McKinney’s story. The less-residential neighborhood of Downtown McKinney may not be as traditional a choice to live, but it makes a fine spot for those trying out the area or looking to explore for an afternoon. One of the most unique things about McKinney, Texas, is their range of housing development styles and personalities. An example of these notable communities is Provence Estates, inspired by French culture and architecture. 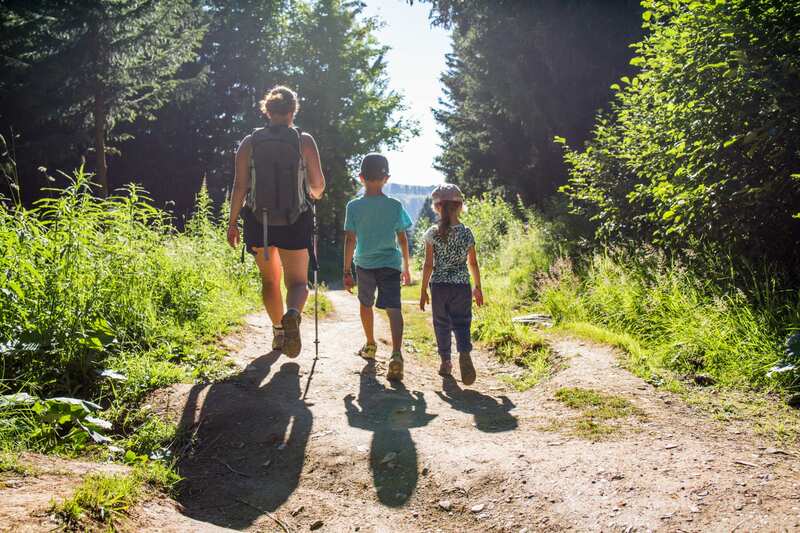 Located only a short drive from the center of town, Provence sits on the edge of a park and nature reserve, with options for bringing the kids for outdoor fun and exploration. The community offers European-inspired town homes and condos on the higher end of McKinney’s price range. This quaint neighborhood of eighty homes, with more development on the way, features pristinely trimmed landscapes and tree-lined streets. With nearby schools, this development is ideal for families as well. The condos offer high-end, modern amenities while maintaining an old-school, French design. Trinity Falls is another example of a popular McKinney neighborhood and organized living community. Perched right nearby the beautiful Trinity River, the development of homes and recreation centers encourages neighborhood collaboration and an active lifestyle. A pool, dog park, clubhouse, open-air pavilion and fireplace make this an excellent spot for raising a family with plenty of things to do and places to explore. With over 1,700 acres of open space, Trinity Falls allows its community to soak in the natural wonders of McKinney. The development connected with 20 miles of hiking and biking trails as well. Annual community events include wine festivals, barbecues and holiday celebrations. Another McKinney neighborhood that reflects on European living and style is Adriatic Village. This housing community looks like something right out of another time and place, with stone-stacked architecture and Mediterranean accents. The neighborhood even includes a historically inspired bell tower at the center of town. Plenty of recreational areas bring the community together, creating an energy of charm and warmth. This area offers a bit more of an activity-filled lifestyle, with access to several locally run business as well as pockets that are purely residential. These hand-picked businesses serve everyone in the area, including a wine shop, multiple restaurants and clothing stores. 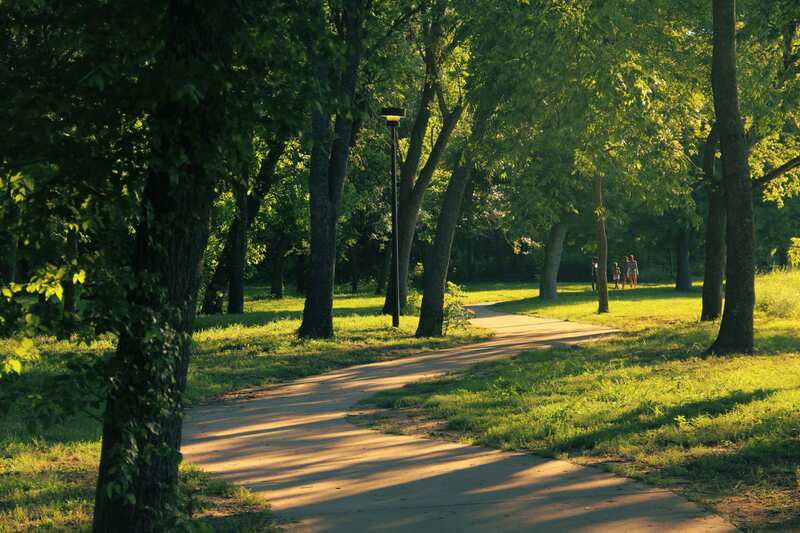 This lush and balance suburban neighborhood of McKinney is home to many active professionals. With easy access to major highways, Auburn Hills is a go-to choice for commuting to Dallas and other major areas nearby. The community offers access to a local lake, hiking trails and a pool, making it an excellent McKinney neighborhood for families. It is also one of the safest neighborhoods in McKinney, along with any area northwest of route 308. Auburn Hills is also across the street from Gray Branch Community Park, offering lacrosse and soccer field, performance centers and 212 acres of green space. Homes in Auburn Hills average around $370k, a fine balance with such access to jobs near McKinney. Real estate in the area also boasts energy-efficiency in their homes, lowering the overall cost of living and carbon footprint of each resident. This newer neighborhood and development sits right on the edge of Hardin Lake, featuring terraced gardens and flowing hills. A creek surrounds the neighborhood, meaning that you have opportunities for outdoor exploration on all sides. The range in elevation means that many homes have lovely views of the surrounding areas. The neighborhood features easy access to highly rated local schools, major highways and historic downtown. If you’re looking for large plots of land and expansive homes, check out the Mallard Lakes neighborhood of McKinney. Compared to the rest of the country, these large homes are still within reasonable prices while remaining accessible to routes 380 and 75 for an easy commute. Mallard Lakes is also only a short, 10-minute drive to historic downtown McKinney. If you’re thinking of raising children in Mallard Lakes, one of the best elementary schools sits right across from the development, creating an atmosphere of easy living for all members of the family. As stated in its name, several lakes spot the landscape of the neighborhood, providing some beautiful views from elevated properties. It is hard to ignore the impressive reviews and accolades that praise living in McKinney, Texas. A mix of unique neighborhoods and modern housing developments mean that there is something for everyone. Families will love the strong school systems and things to do with kids in McKinney while young professionals flock to the area for accessibility to Dallas. No matter what, the city’s dedication to community makes McKinney a fine balance between city and suburb. We are a moving company that understands no two moves are the same, and we will quote you customized prices depending on your individual needs and preferences.